See Notorious Short-Seller’s Take on Tesla and SolarCity; Do Hedge Funds Agree with Him? 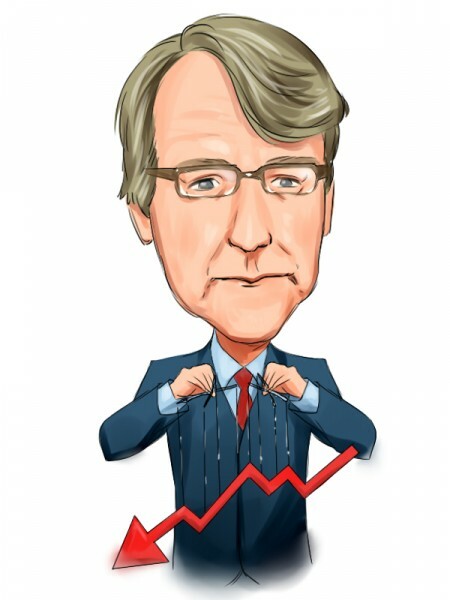 Jim Chanos, the manager of Kynikos Associates, is one of the most famous short-sellers on Wall-Street, gaining popularity in the early 2000’s when he bet against Enron and WorldCom before their bankruptcies. This is why Chanos is widely followed by smaller investors and his opinion is highly appreciated. In a recent interview on “Bloomberg ‘GO’“, Chanos provided his take on the broader market, commodities, and some particular stocks. Namely, in this article we will take a look at what Chanos said about SolarCity Corp (NASDAQ:SCTY) and Tesla Motors Inc (NASDAQ:TSLA) and see if more long-oriented investors agree with him. At Insider Monkey we follow over 700 of the best investors in the world, although we are more interested in their long positions disclosed in quarterly 13F filings. We analyze the data from their equity portfolios to identify which stocks these investors like more in order to identify profitable trading opportunities. Our small-cap strategy focuses on 15 top small-cap ideas among the funds from our database and it has returned 102% since August 2012, outperforming the S&P 500 ETF (SPY) by some 53 percentage points (see more details). Chanos said that he is short SolarCity Corp (NASDAQ:SCTY) and did not say much about his stake in Tesla, saying that he is a “potential buyer”, referring to an earlier part of the interview where he said that “to close out a short position you have to buy stock.” However, Chanos said that he believes Elon Musk plays an important role in the performance of both companies’ stocks. “At the end of the day, […], it’s not about personalities; it’s about the business model. And SolarCity we joke is akin to that old movie “Tin Men” with Danny DeVito. They’re selling aluminum siding door-to-door. SolarCity is basically leasing you solar panels if you’re a residential customer at what we think is an uneconomic deal,” Chanos added. The short-selling investor added that one of the issues with SolarCity Corp (NASDAQ:SCTY) is that it finances itself and currently its bonds have a yield of approximately 8%, which sets them in the ‘junk’ credit range. Moreover, as the company has a portfolio that is yielding around 7%, the company’s refinancing is at a higher rate. In an interview on CNBC in August, Chanos also stated that he is short SolarCity, calling it a “a subprime financing company,” a view that he reiterated on Bloomberg as well. On the other hand, other investors from our database are more optimistic regarding SolarCity Corp (NASDAQ:SCTY), collectively, since 34 funds held almost 25% of the company at the end of June. They owned in aggregate $1.28 billion worth of stock, and even though the number of investors fell by two during the second quarter, the total value of their holdings appreciated from $1.02 billion at the end of March. Still, SolarCity was not the favorite solar stock among hedge funds, as more investors think that Sunedison Inc (NYSE:SUNE) is a better renewable energy stock to go long (see details).